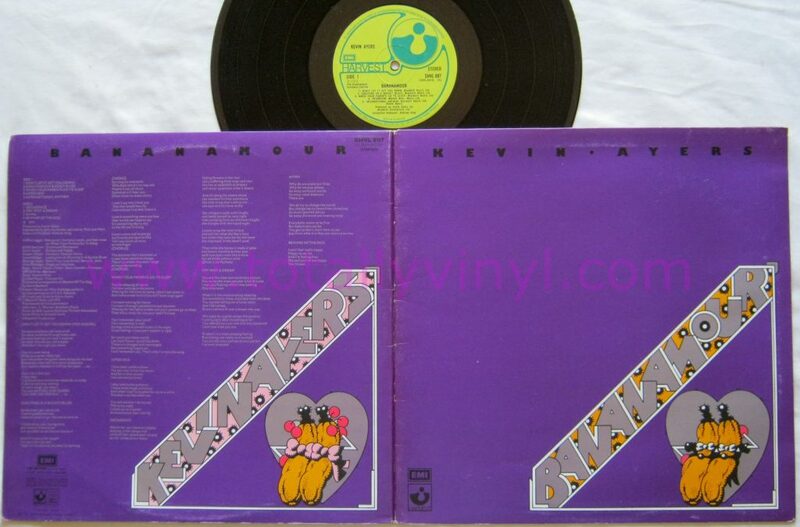 ‘Bananamour’ is the fourth studio album by Kevin Ayers and it features some of his most accessible recordings, including ‘Shouting in a Bucket Blues’ (featuring Steve Hillage on guitar) and his charming tribute to Syd Barrett, ‘Oh! Wot A Dream’. After ‘Whatevershebringswesing’ (1972), Kevin assembled a new band anchored by drummer Eddie Sparrow and Glaswegian bassist Archibald “Archie” Leggett. Archie played with all of “The Greats” during his career, being the bass player of choice for top American R&B artists touring the UK. 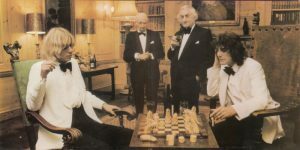 The inner sleeve features Kevin and Archie, suave in their tuxedos, playing an unusual game of chess in the presence of two elder gentlemen! The album ‘Bananamour’ evolved from Kevin and Archie’s live ‘Banana Follies’ revue. Soft Machine ex-colleague Mike Ratledge contributes keyboards to the track ‘Interview’ and David Bedford arranged ‘Beware Of The Dog’. Additional vocals by top female singers Liza Strike, Doris Troy and Barry St.John add sensual drama to the album especially on the song ‘When Your Parents Go To Sleep’, while Kevin generously hands over lead vocal duties to Archie. The album ‘Bananamour’ marked the end of Kevin’s first Harvest Records contract. He moved to Island Records for his next album, ‘The Confessions of Doctor Dream and Other Stories’. Additional information sourced from Wikipedia.